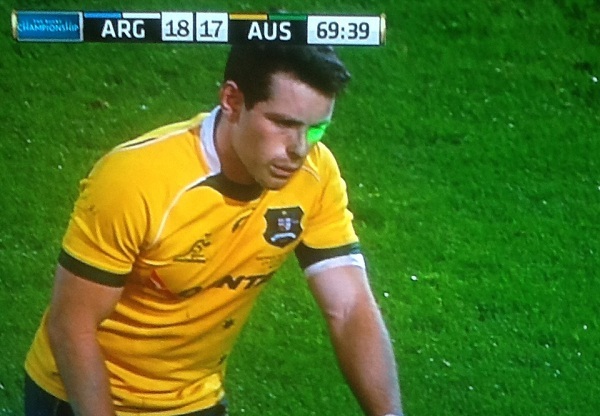 SANZAR must act to stop spectators using lasers to distract kickers. The remarkable, historic and deserved first Pumas win in the Rugby Championship has once again showed the ugly side of some spectators – or should we say idiots – using a laser pen to distract the kickers. 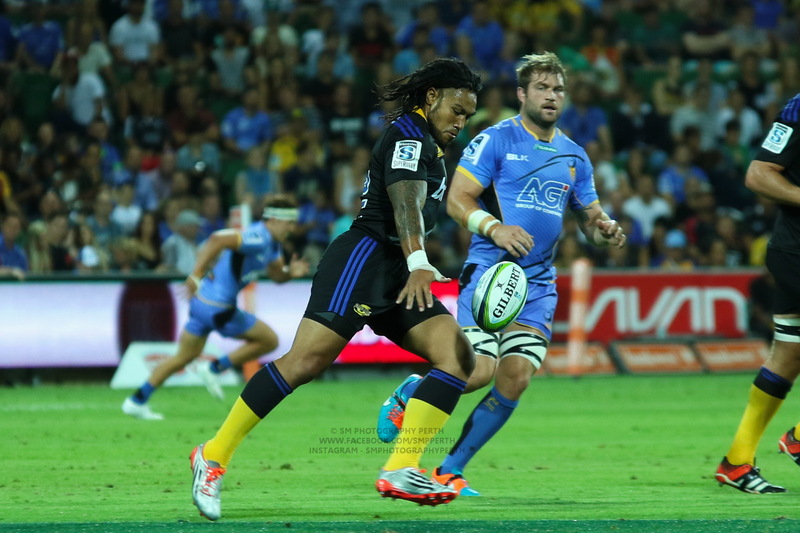 Bernard Foley missed an easy kick in the 70th minute which could have changed the final score. The Wallabies kicker was also disturbed in his two successful conversion attempts in the first half. Last year Jaco Peyper allowed Aaron Cruden a second attempt in a win for New Zealand when the All Black five-eighth was similarly distracted. This year Nigel Owen didn’t act. I believe he should have gone under the posts and awarded a penalty try. Harsh? One-eyed? No, I’ll say this under any circumstances. The act was a disgrace by one or two singles, but has shamed a nation of rugby supporters and should never happen again. A penalty try would have set the bar to clear any doubt; these dirty tricks do not belong in the sport. This should not being seen in any way as an excuse for the Wallabies’ loss; but the playing field should be level. We are already used to the typical boos of disrespect during kicks, but a limit should be set and the Mendoza affair has to have consequences. POLL: What should happen if the crowd uses lasers to distract a kicker? If you award the points or a penalty try, every time a Wallaby has a tough kick, there will be 50 Australians with lasers pointed at his head. A rekick (and another, and another) will annoy the crowd to the point where they will police the offenders themselves. Ok, well maybe the kicker could wear some laser proof glasses or visor. Don’t be stupid. Welding masks are not certified as laser protection. That is a point, but considering it’s been attacking the away kickers in the same country, right now it’s pretty clear which side the perpetrator is from. But if they enforce something like this, away supporters will start bringing lasers to the games they watch. It could potentially happen. But that hasn’t happened at all. And considering barring the Aus vs NZ games, most games are 90% home crowd the chances are so low. I like the idea of immediately awarding the kick, but that means that the kickers and/or the kickers’ teammates have to be more proactive about pointing out the lasers when they’re there. Foley said he never sought – nor was offered by referee Nigel Owens – a second attempt after his decisive miss that left fans at Estadio Malvinos Argentinos deliriously celebrating the momentous victory. That’s a problem, because the laser is only going to be obstructing the kicker if he sees it (because it’s getting in his eyes). If the kicker doesn’t say anything, then it’s hard for anyone to be certain that the kicker was actually distracted, or if the kicker saw the laser on the screen after the fact and used that as the reason for missing a kick. Short of the UAR patting down everyone in the stadium, the kickers and their team are going to have to step up. I like the idea of immediately awarding the kick — that would probably knock it out of the game pretty quickly. More realistically, we’d probably see something more like re-taking the kick. But if a laser hits the face of the kicker and the ref doesn’t step in, either the kicker or a teammate should stop everything right there, the clock should stop, they should review it on the big screen, roll back the clock the time that was wasted during the lasered prep, and either re-take the kick or just award the kick. And maybe give that part of the stands a big two fingers. I would like to see australian players not give away kickable penalties every game to a laser in the eye once a year. 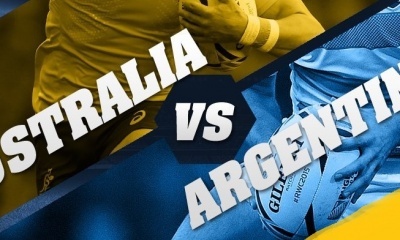 I’m not quite sure – did any lasers at any point in the game pointed at the Argentian kicker? By the 3rd kick it would have been pretty evident that it was an Argentinan supporter, and any subsequent lasers pointed at an Argentinian would be a poor attempt to provoke consistency by the referee. In this circumstance – a re-kick probably would have sufficed. 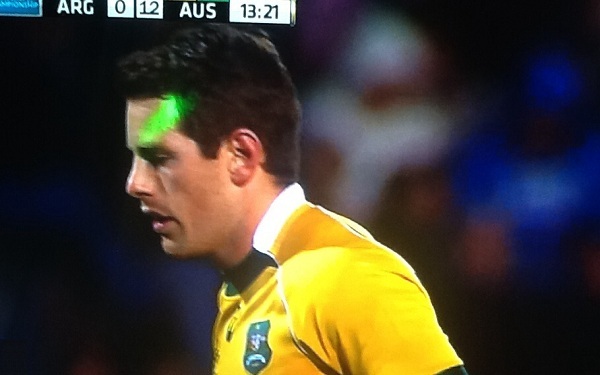 Maybe people should point lasers at Nigel Owens next time he referees in Australia. It’s incredible how steady and accurate someone in the crowd is with those lasers. They must do it a lot, or maybe it came from nearby like the Argentine coaching box. And before anyone accuses me of “slander”, that second supposition was facetious. Unless one of the opposition players is the culprit then the idea of a penalty try is rubbish. Retaking the kick is the best option, but even that is a slippery slop. Really they just need to find these fxxkers and sort them out, be it fines, bans or the traditional Argentinian drop them out of a high flying helicopter trick. I think Foley should have said something to the ref. If he’d have said something the first time he definitely would have forced a decision from Owens by the second time. I think re take kick second one security stands in front of kicker and blocks and/or detects laser operator. I agree, I don’t understand why he went ahead with the kick. If he’d stepped back from the tee Owens would have been forced to act. This just goes to show how poorly the Australians managed the referee. Should have told him after the 1st occurrence. Deny the city future fixtures, and when you run out of cities, hold the game in an empty stadium. This will hurt the hosts to the point where they must sort it out themselves. 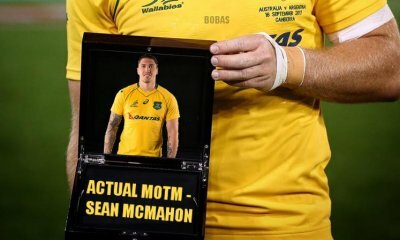 What do the wallabies and qantas have in common? They’re both losing money and occasionally when they try and land something some dickhead with a laser pointer try’s to put them off. I hope Foley gets the all clear. I had an uncle that died from crotch dot. Fact is, Australia should never, never been in the position of needing a penalty goal to get the lead back. When you lead 14-0 after just 12 minutes and go on to score just 3 points in the next 68 mins, something is very wrong in our Rugby camp. The laser beams have been around for 30 years or more in that part of the sports world. It is no right, but it is not a new way to cheat either, it is the South American way. When your up 14-0, you go on and make 24-0 then 34-0 till the 80 mins is up. Just wondering with Argentina being such a soccer mad nation, do the crowd use laser pointers when players attempt penalty kicks in soccer? That would be just as off putting. If not, then is that because the security is better? They do. The laser thing is largely a Soccer phenomenon. Kinda missing the point here. This is not making excuses for Australia’s loss, it’s too try and find a solution to a blight on the game. If the host is heavily fined for the crowd using lasers, then this will stop. There are enough cameras in stadiums these days that the source of an active laser can be tracked down quickly, so there’s no legitimate excuse in my mind. The fact of the matter is that the lasers that are being used are powerful enough to cause permanent sight damage to the players. This is at least as significant as concussions and needs to be taken as seriously as that is these days. I think fining the host nation would probably be very successful in eliminating, or at least significantly reducing the frequency of this happening. Money is a powerful motivator. I saw a post on another site suggesting if it happens once a net should be lifted to block lasers (and view) for fans at the end of the pitch, I am sure the crowd would sort out any laser wielding idiots pretty quickly if this was the case. Before the game, it was patently obvious that this was going to be an issue. It was used against NZ kickers the week previous, as well as in the games last year. Did the Coach and remnants of team management left in country speak with the UAR (and referee) before hand and raise their concerns? Law 1.6a – If either team has objections about the ground or the way it is marked out they must tell the referee before the match starts. Did the Coach have a contingency plan to invoke in the event that it happened again, despite raising the issue with the UAR? 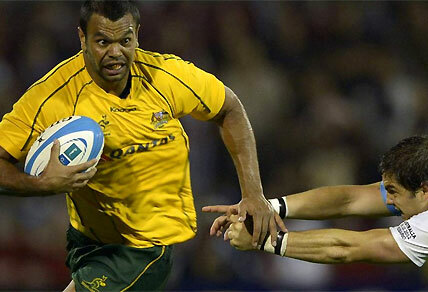 Was the Coaches contingency plan communicated to the Captain and Wallaby leadership group? 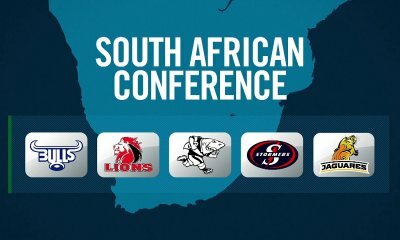 Has ARU raised the issue with IRB? The Captain and Referee should not be forced to make a decision on the fly about a known problem with laser targeting. If the Captain is going to take the team off (my recommended course of action) until the Playing Area is made safe, and potentially forfeit the game, then that strategy must have been discussed and agreed to beforehand by the players, approved by the Coach and endorsed by the ARU. Bit of a tough question. I don’t think awarding points is the answer. A fine would encourage better security measures and hopefully prevent it but that would be hard to do. What about we call a stoppage. Get a clear message on stadium screens and speakers saying that the game will not continue until the lasers stop. Get the ground cameras to focus in on the buffoon if possible. If it doesn’t, then walk the teams off the field as a statement. Bring them back on once it’s done. Let security handle the offenders, remove them from the match. As was commented: The spectators will sort it out as well. I think it’s actually something the refs should handle, if they can’t see it happening, what the hell are they looking at? The main problem with the lasers is just how concealable they are. The guy next to you could be using one to distract a kicker and chances are you might not know. The best solution I think, is to offer the chance to re-kick. I doubt you’ll stop the lasers but once the kick is successful then the game is back on.